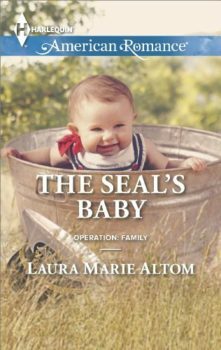 When Navy SEAL Heath Stone’s wife died, he thought his heart was closed forever. When he finds Libby Dewitt, eight months pregnant and stranded outside Bent Road, Oregon, he is drawn to her beauty, but also to her sweet and generous nature. But how can he even think about being with someone else? He had love once and lost it—and he’s not sure he can take that kind of loss a second time. Alone and estranged from her family, Libby Dewitt always wondered what it would feel like to truly belong. She feels at home with Heath, but he just won’t let her in. Despite her own troubles, her heart aches for everything Heath has been through. To save this SEAL, Libby is ready to fight—for love!